Open land • South Eden Ranch once was part of the sprawling Hyrum Nebeker cattle operation in Rich County. Photo courtesy of Steve Klein/Utah Open Lands Conservation easements have been secured to preserve the historic South Eden Ranch on Bear Lake's southeast shore. The campaign spearheaded by Utah Open Lands lined up federal, state, foundation and private grants to tie up the $800,000 deal, which will keep the 620-ranch in production while adjacent lakefront property is being subdivided and developed. The Nebeker family donated half their land's development value. A deal has been reached to preserve the historic South Eden Ranch on Bear Lake&apos;s east shore, which the Nebeker family promises to keep in production and undeveloped while adjacent lakefront property is subdivided and developed into residences. The $800,000 deal targets a 50-acre slice of the 620-acre property, but it will ensure an indefinite reprieve from intensifying development pressure while further deals are reached to protect the entire property, according to ranch manager Krista Klein. The ranch owned by Klein&apos;s late father, Sidney Jay Nebeker, used to cover much of the land east of Bear Lake. Today, the property  owned by Nebeker&apos;s five children  features 200 acres of irrigated pasture lands and 400 acres of range used by both sage grouse and cows. In the deal recently finalized with Utah Open Lands, the Nebeker family donated half of the value of the 50 acres as part of a multi-phase project involving conservation easements, arrangements where landowners agree to permanently forgo development opportunities. "My dad used to say we could have millions of dollars if we sold out, but what would we do with millions of dollars? We would buy a place like this," said Klein, who has lived on the ranch with her husband and two kids since 2002. "We are committed as a family. We have been talking with [Utah Open Lands] for many years. ... We have to stop talking about it and actually do it." The family has also granted an easement for a bike path envisioned around the scenic Rich County lake, which straddles Utah&apos;s border with Idaho, according to Wendy Fisher, executive director of Utah Open Lands, the land conservation nonprofit that spearheaded the deal. "Land conservation in Utah is truly about partnerships. South Eden will now be forever protected and will continue to provide that unique Bear Lake experience which calls to road bikers and lake boaters alike," Fisher said. The money needed for the deal was raised from federal, state, foundation and individual sources, including $391,000 from the Farm and Ranch Land Protection Program overseen by Natural Resource Conservation Services (NRCS). "The state of Utah loses prime farmland every day. It is critical to protect our prime soils as well as the farms and ranches that provide our food products and other benefits from farmland and open spaces," said Dave Brown, Utah conservationist for NRCS. Key funding also came for the George S. and Dolores Doré Eccles Foundation and the Utah Division of Water Quality. 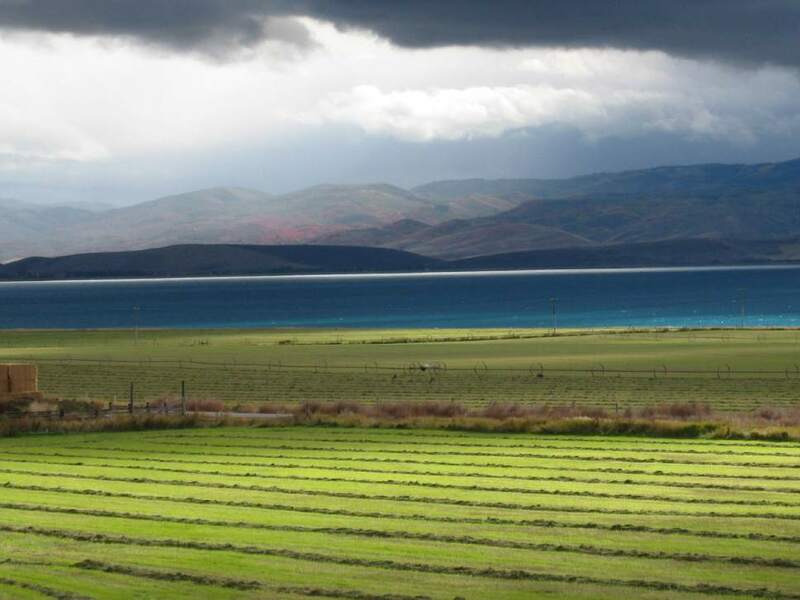 "The conservation of this land will remove potential threats to water quality in Bear Lake, which is one of our unique and healthy water bodies in the state," said Walt Baker, division director. "We are interested in keeping it that way for all Utahns who appreciate its recreational value." Before he died two years ago, Jay Nebeker would sell pieces of the ranch to cover the costs of running the ranch, Klein said. Instead of pocketing the money from the conservation deal, his children set up a fund to accomplish that purpose. "Now we can create an endowment for the ranch to ensure it remains working, productive and maintained for not just our family to enjoy, but for those who love the open, scenic nature of the rural Bear Lake area. It also preserves a place for wildlife, neighbors we love," said James Nebeker, the eldest of the five siblings.